The DCA and DCAF will be offering health clinics again at the 2019 National Specialty show on Tuesday, May 14. OFA fees and part of the testing costs are underwritten by DCAF making this a great opportunity to update your health testing at an unbeatable price! 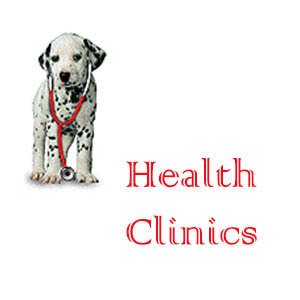 Please support the clinics with your participation and/or volunteer time. Please pre-register. The deadline for pre-registration is May 1. An event like this needs volunteers to help! If you can draw blood samples or implant microchips, your skills are especially needed! If not, we can still use your help with paperwork, holding dogs, and general crowd control. Sign up for a few hours, or for entire clinic. Come, have some fun, and feel great about helping to promote health testing in our breed! We try to make it a fun a rewarding experience for everyone.